The app is very nicely done. The inability to listen offline severely limits its usefulness. I have other audio bibles that I can listen to anywhere, so this is a non starter for me. Add offline capability and I’ll be back. By The Word on the go! I truly love this app! I love the playlist as I can listen to multiple scriptures on a single topic. 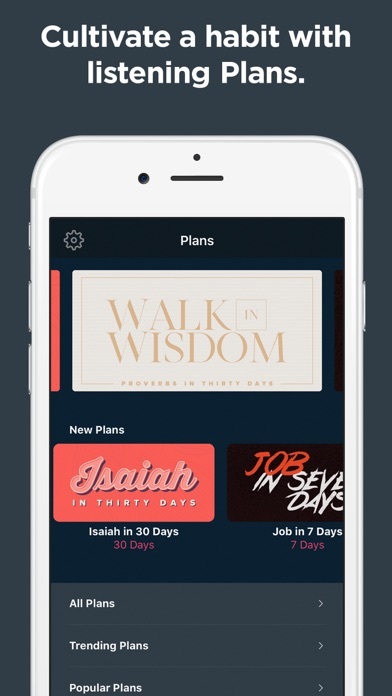 This is the best Bible app I’ve experienced. I listen scriptures in the morning, on my drives to work, and during my evening meditation time! This is truly God inspired and I can’t wait to see the advances Dwell will make in this market! 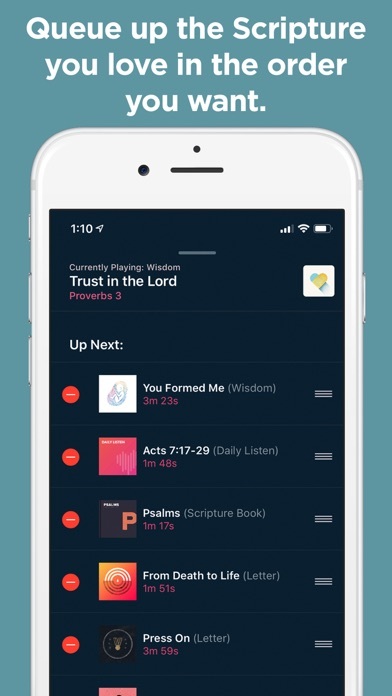 I think this app is wonderful and unlike any other bible app however I had issues with saving and creating playlist. 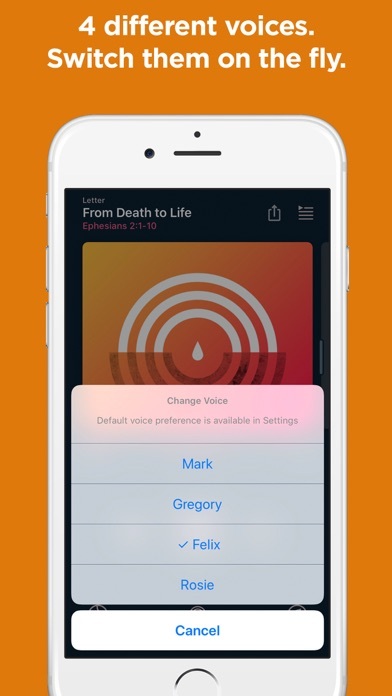 There should be a visible button that is easy to see and click to add scripture to a unique and personalized playlist. 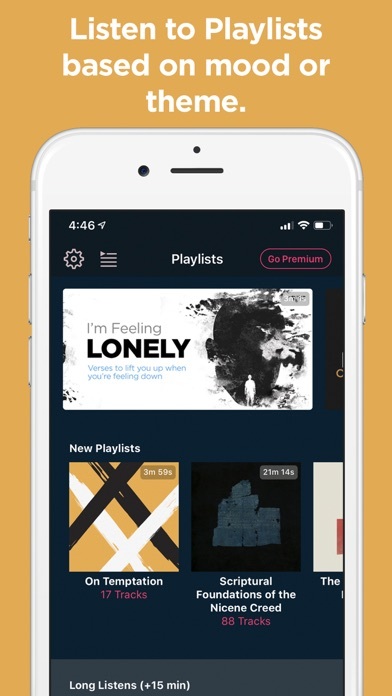 It would be nice to even create customize labels for my playlist as well. The app has it's own playlist which are wonderful but I didn't see an option to save the apps playlist to revisit again if I wanted to. Overall this aop is nice. I really love Felix's voice and the options to change music in the background. My favorite is the ambient sound. 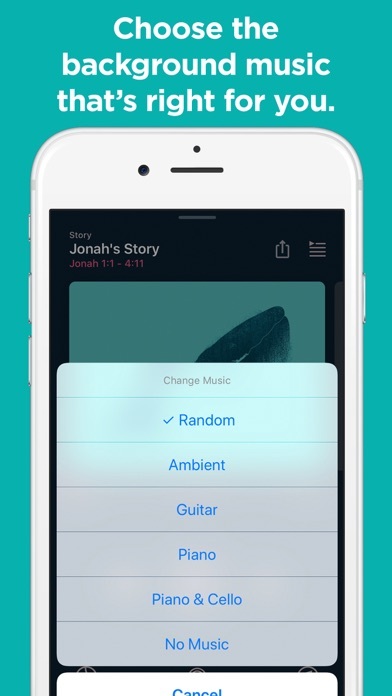 I can’t really put into words how amazing this app is - to be able to switch voices mid-sentence, to be able to change or turn off music, the comprehensive library of curated playlists that give you verses that relate to a specific topic, the artwork spread throughout the app, how fluid and seamless the app UI design is...It’s one of the best apps I have ever owned and it’s only getting better. My only complaint, which is already being addressed, is that there is currently no offline listening. That being said, I hear they are working on this feature and it will be included in an update soon. 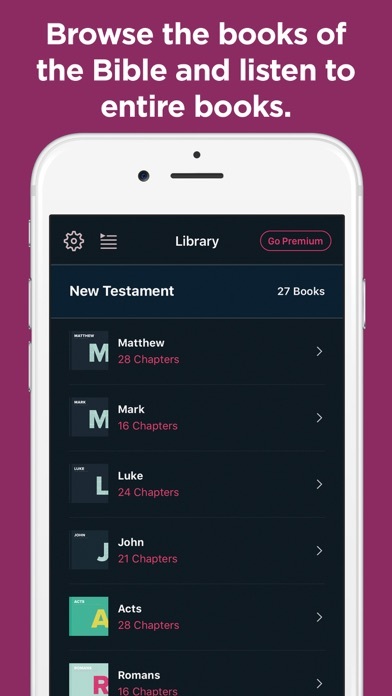 A very minor suggestion is being able to allow us to add entire books of the Bible to our queue - I sometimes sleep to this app and like having it playing through the night - being able to add whole books would allow this to be played all night long. A gentle word of insight for those unhappy about the price of the full app: this app is a labor of love being created by a plethora of dedicated people, and those people have homes to pay for and mouths to feed. Though it is the word of the Lord and we all should have access to it, we also have to usually pay for bibles we get at a bookstore - we can’t just walk in and steal the Bible off the shelves. The developers of this app are asking for $30 a year for the full version of this app. Put into perspective: $30 is the average price of just one meal for two at your average restaurant. Given the content of this app, all the features, all the people who work on this app and their commitment to keep adding content, I think $30 a year is an absolute bargain for what you’re getting. Anyways, blessings to all and thank you guys for making such a beautiful bible. Cannot wait to see what the future holds for this app! Pictures looks good, the audio reading is amazing but no replay function of the passage/chapter for my meditation. (1) Repeating one single passage would be super helpful for meditation and memorizing passages if is this function is available. (2) Also, nor am I able to create my own list(s). It is my first time to write a review, but sincerely suggest to make these functions available. 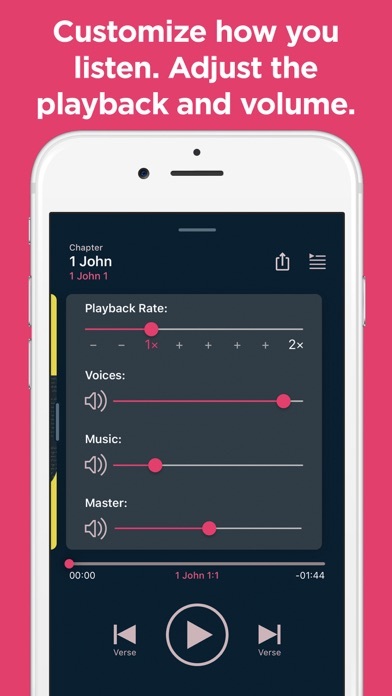 This is by far the best audio Bible I have encountered. I haven't encountered very many, however, but it is truly fantastic. I do wish more versions were available than solely the ESV which this one uses. The concept is great but terribly executed. But, before I could back out I was charged for 12 months for an app I am not loving. First of all, the voices are all boring and/or hard to understand. Why the British accent?! Why???? Why do all audio Bibles feel the need to showcase the British accent?? The one person that speaks easy to understand English is so dry and boring sounding that the only time I seriously consider listening to him is before bed. Haha! And why did you select people with Indian and African accents that are hard to understand? I love my Christian brothers and sisters from all over the world, but this is not how I prefer to do bible listening. They are very hard to understand. You guys failed to master the basics on the audio portion of the app...which is why you even exist in the first place!! 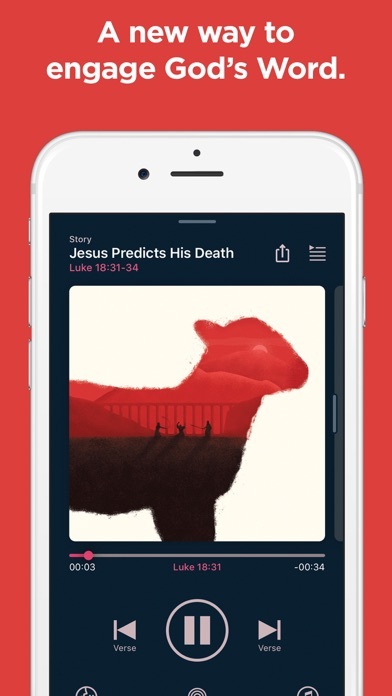 Another issue is the lack of visual Bible to see and scroll through as the audio is playing! Why not??? It might offset the hard to understand speakers if I could follow along in the app. Oh, and they don’t have the entire Bible and they only have one translation. ESV only. Luckily I’m an ESV fan! The one positive is the music that you can play along with the audio. This hardly makes up for everything else, in my opinion. I wish I could get a refund!! But they wouldn’t let me on the App Store. Not worth the cost yet IMO. Might never be.